* includes contributions from renowned psychoanalysts and psychotherapists from around the world. It will be of great interest to child and adolescent psychotherapists in training and practice, and also to clinical psychologists, psychoanalysts and psychiatrists working with autistic/severely disturbed children. 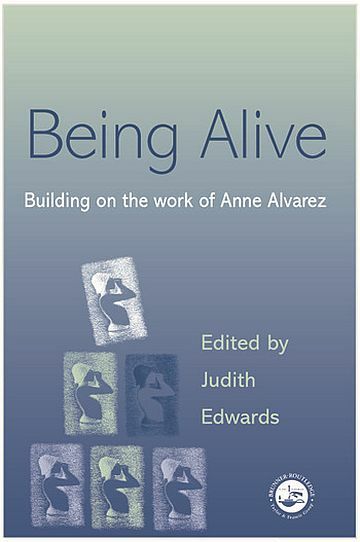 Bridging the Atlantic for Psychoanalysis - An Appreciation of the Contributions of Anne Alvarez. Changing Ideas of Change - The Dual Components of Therapeutic Action. A Contribution to a Technical Frame of Reference. Bisexual Qualities of the Psychic Envelope. Neurobiology, Developmental Psychology and Psychoanalysis - Convergent Findings on the Subject of Projective Identification. 'Think Outside, Not Insider' - Hearability and Intensity in Work With Deprived Children. From Freezing to Thawing - Working Towards the Depressive Position in Long-term Psychotherapy with Autistic Patients. Deficits in the Object and Failures in Containment. Thoughts about the Concepts of Cognitive Development, Reparation and the 'Manic Position' - Two Clinical Examples. The Sense of Abundance in Relation to Technique. Liking Liking Doing. First Love Unfolding - Developmental and Psychoanalytic Perspectives on First Relationships and their Significance in Clinical Work. Glimpses of What Might Have Been - An Autistic Boy's Struggle to Have a Mind. On Temporal Shapes - The Internalisation of Rhythmical Aspects of Reality and its Relation to Basic Trust.